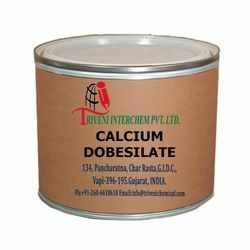 Leading Manufacturer of calcium dobesilate from Vapi. calcium dobesilate (20123-80-2) is Solid. it is use in Venous disorders and Vasotropic Industry.calcium dobesilate (20123-80-2) is Solid. it is use in Venous disorders and Vasotropic Industry. Looking for Vasoprotective API ?